There’s something about the rain that brings a cool calm to the city especially after the searing heat of the summer. Allow F1 Hotel Manila to cuddle you in comfort with our seasonal offerings. 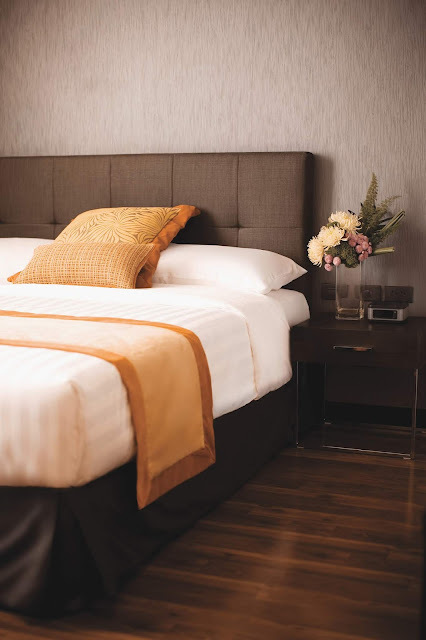 Let F1 Hotel Manila be your home away from home with our “Rainy Day Serenity” room promotion. You may avail of an overnight stay in a Fort Suite inclusive of buffet breakfast and a pampering complimentary in-room massage for two (2) persons at a special rate of Php 6,800 nett per night. Enjoy the season with a friend or a love one with a relaxing treatment. You don’t have to leave the country to satisfy your adventurous heart and palate by taking a South-East Asian journey when you dine at F All-Day Dining. 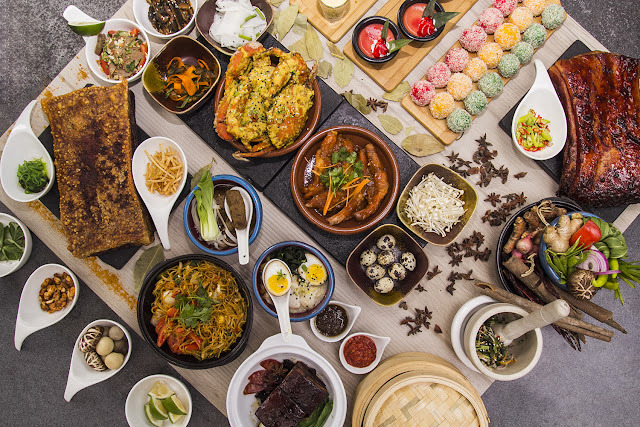 Travel to Thailand, Indonesia, Singapore, Malaysia, and more as F1 Hotel Manila lets you experience a complete adventure through different cuisines from our neighbouring countries. Explore “The Taste of South-East Asia” starting July 1 to August 31, 2018, either for lunch or dinner, Friday to Sunday at the price of Php 1,699 per person. Take part in South-East Asian delicacies like salads from Thailand; Phla Kung, Yam Nuea Yang, Taiwanese Noodles, Singaporean Chili Prawns and Char KwayTeow from Singapore, Philippines’ Sisig Itum, Malaysia’s Sea Food Laksa and many more as we give you a chance to savor the authentic flavors of South-East Asia. Craving for something new to quench your thirst? Have a sip of our local drink – Nilasing na Mangga at Php 350 nett per glass, served at the Canary Lounge. 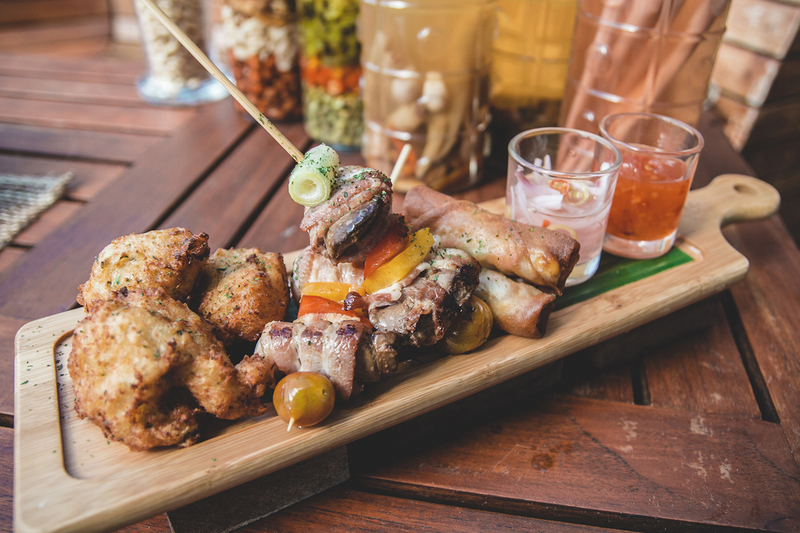 Also try our own take on Pinoy Street Food with a modern fusion twist. All your favourites in one platter: SisigChili Poppers, Adobo Liver Rumaki, and Shrimp Beignet for only Php 388 nett that matches perfectly with our 2+1 beer plunge or with the drink of the month, Nilasing na Mangga. 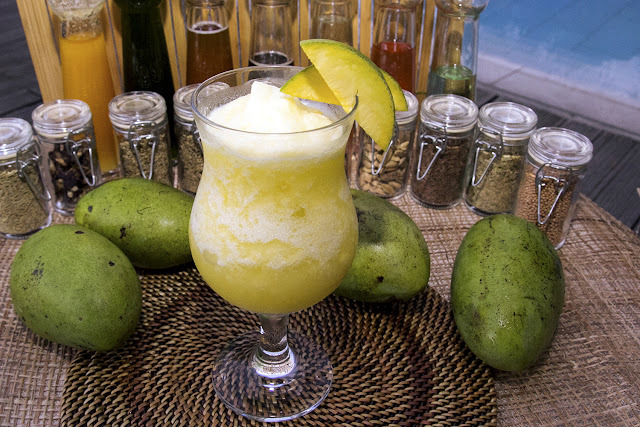 Tantalize your taste buds as we serve you a unique combo based on this local delicacy. The season’s about to get a little gloomy, and what better way to lighten it up than having some decadent delights for you to indulge! 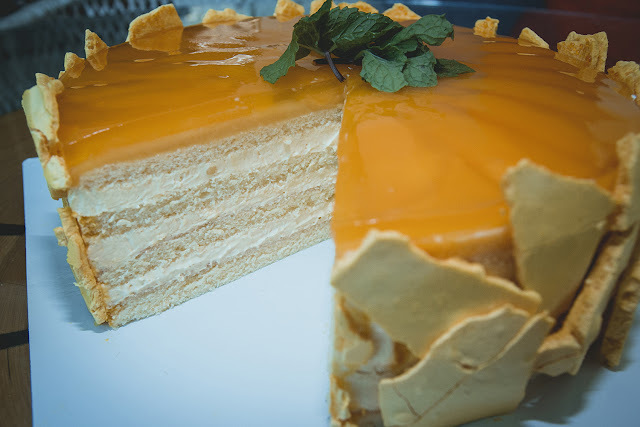 Snag some Mango Shortcake at the F All-Day Dining Patisserie for only Php 1,388 nett. reservations, please call (02) 908-7888 or visit our website f1hotelmanila.com.